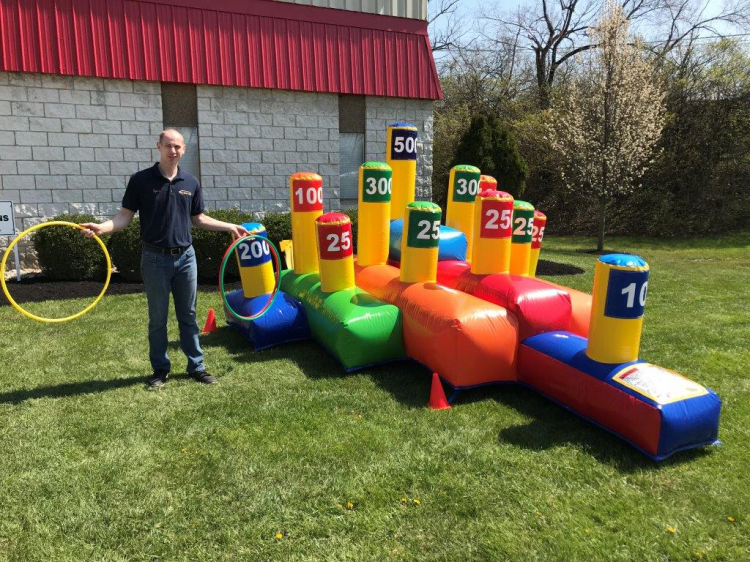 Hula Hoop Toss Inflated - Jumpin Jiminy - Make Your Events Awesome. Grab a hoop and give it a toss. Try to see who can score the highest. This product is available for delivery or pick-up. Renting to all of Oklahoma, churches, schools and companies. Also delivery to Kansas, Arkansas, and Missouri.